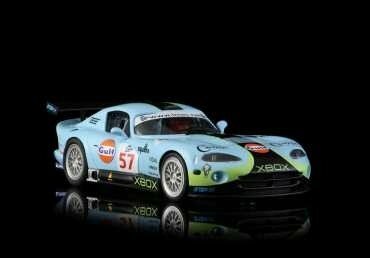 Revo Slot Dodge Viper #57. *Alloy wheels front & rear. *Roller bearings front & rear mounted in alloy holders. 20k 'Anglewinder' short can motor. Nylon 33t spur gear with alloy hub. Includes spare 'wood track' deep guide blade.